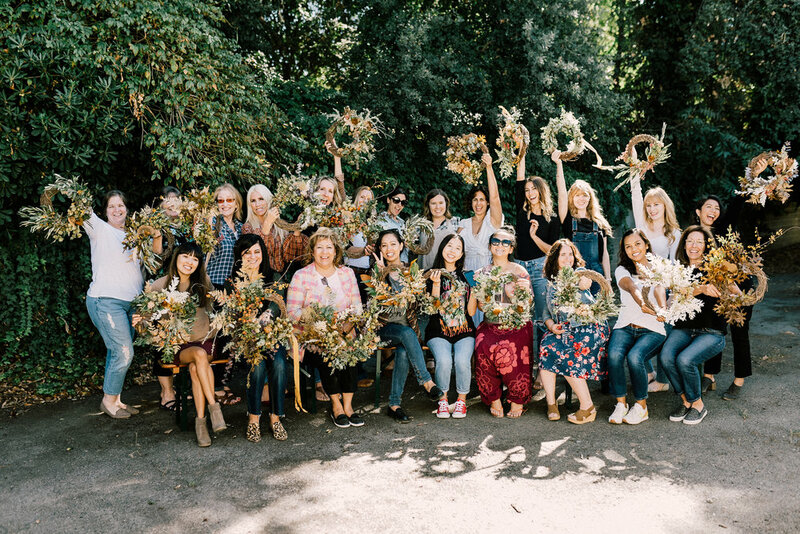 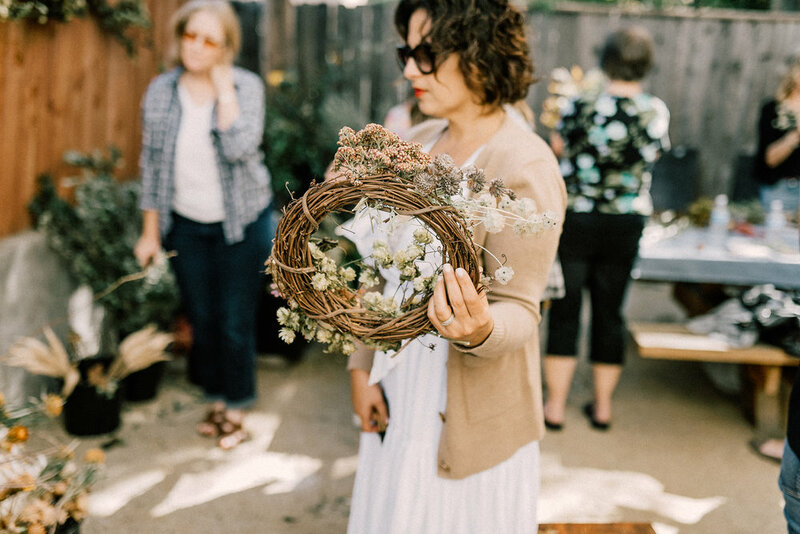 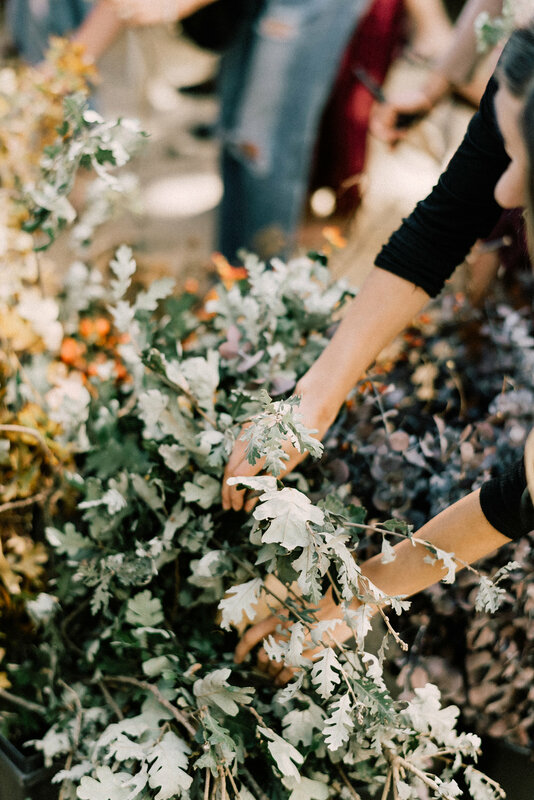 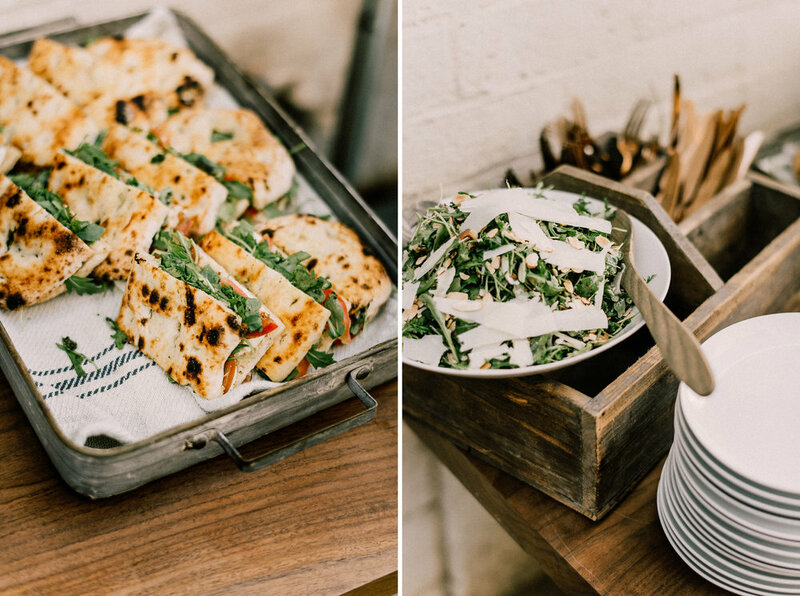 Shannon, the owner of Thistle + Honey, created a beautiful space in the back patio area of one of Sacramento’s best pizza restaurants, Masullo for her fall wreath workshop. 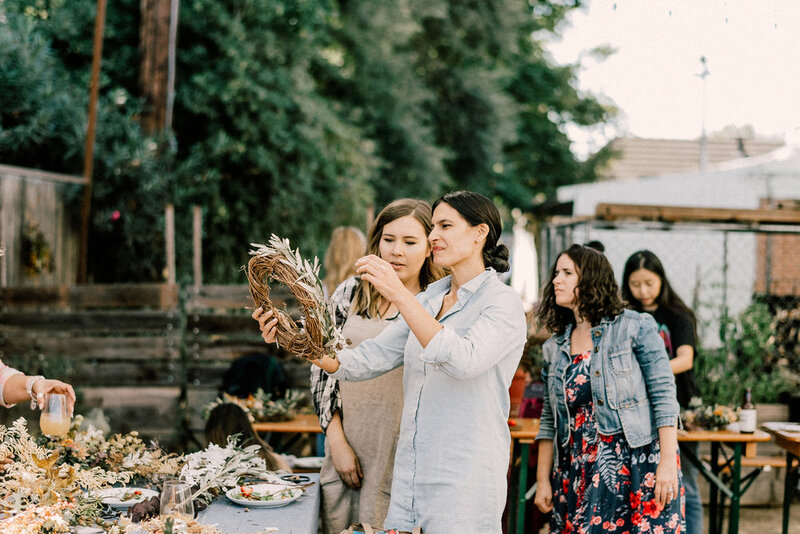 Documenting in creative spaces like this makes my little photographer heart happy and a dose of just what I needed in the middle of a busy wedding season. 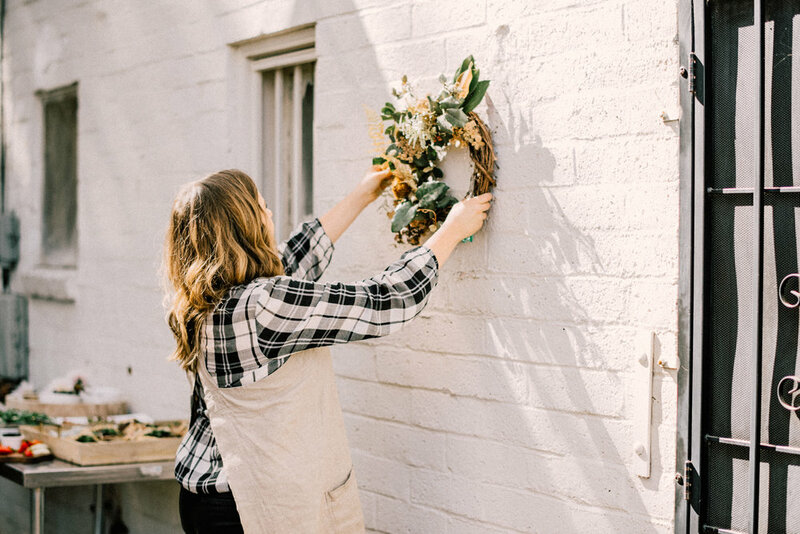 Don't worry, if you missed out on this fun workshop, Shannon will also be hosting a winter wreath workshop so be sure to sign up with her email list to be the first to know when tickets go on sale.